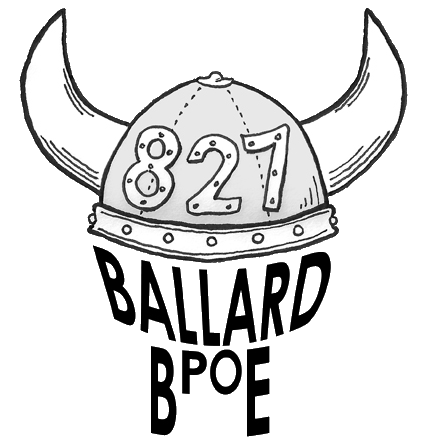 The events put on by members of Ballard Elks 827 Lodge are always fun and a great way for us to raise money for charity and get involved with our community. We challenge our members to come up with new ideas for events that will continue to support charities and community buidling. *Proposals should be submitted to Anne Tiller (Activities Chairperson) events@ballardelks.org . **Response time to proposals are typically 10 business days from proposal submission. Once approved, let the planning and execution begin. 2. Once you have a confirmed date for your event and details, let us know about it so we can add it to our calendar and help spread the word. Ben Braden editor@ballardelks.org & Brad Hole bradleyhole at gmail.com will get your event on on online calendar, on our app, our Antlers Newsletter and an event scheduled on Facebook. *Be sure to include the details of your event (see above) when notifying us. 3. Create a poster for your event. Posters can be hung up to a month before the event in select areas of the lounge, in the bathrooms and elevator. Digital copies are welcome and we can publish them online. Contact us if you need help. 4. Volunteers scheduled to work the event should be notified in advance to the hours they are needed (set up, during the event, clean up) and to the tasks involved. 2. Turn in monies raised to the lodge and receipts for expenses (if applicable) using our Expense Sheet Form. Link to other Event Forms .